Is World of Warships Worth Playing In 2018? Is World of Warships worth playing? Here’s our take on Wargaming.net’s naval PvP MMO. Why World of Warships? In most War Games, battleships are bombed and rendered useless by aircraft before they actually display any sort of stealth or combat potential. Fortunately for fans of the genre, Wargaming’s free-to-play naval simulator gives these beastly warships the epic battles game developers have previously denied them. The fighting takes place in specific locations, each has very distinct, and quite realistic atmospheric conditions. The locations include the Atlantic, Pacific, and Arctic oceans. So brace yourself for a bevy of differing conditions! You’ll have to maneuver your way around Icebergs and other sea bound obstacles to survive the game’s treacherous waters. 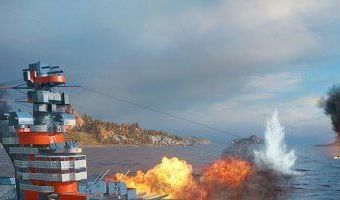 The core of World of Warships’ gameplay is the gunnery. Early on in the game warships are deceptively simple. Though, as time progresses and you advance into the late game, … [Read more...] about Is World of Warships Worth Playing In 2018?